Netflix has released the trailer for a wild looking Turkish fantasy action series called The Protector. 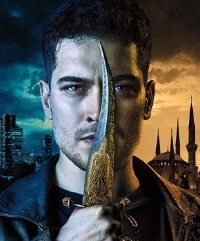 The series stars Çagatay Ulusoy as Hakan, a man given supernatural powers by a mysterious talisman. Can Evrenol (Baskin, Housewife) helms the series so it should be pretty imaginative, if not completely in the horror realm. The Protector hits Netflix worldwide on December 14th, check out the new trailer below.